As we shared last week, the Legislative Council met October 15, 2018, to consider interim committee bills recommended by eight of the 12 interim committees that met July through September. Two of the 12 interim committees were not required to submit their recommendations to the Legislative Council; the remaining two committees—the Pension Review Commission and the School Start Time Interim Study Committee—chose not to recommend legislation. In last week’s article, we reported on the bills approved for four of those committees. Today, we summarize those approved for the remaining four committees. The committee for the Treatment of Persons with Mental Health Disorders in the Criminal Justice System recommended four bills, none of which were approved by the Legislative Council. To review the bills recommended by the Treatment of Persons with Mental Health Disorders in the Criminal Justice System committee, please visit the committee’s website. For questions concerning the legislation, please contact Jane Ritter. Implementation of online sales tax collections following the U.S. Supreme Court South Dakota v. Wayfair decision. At the final meeting on September 27, 2018, the legislative members of the task force unanimously recommended one bill to the Legislative Council, which the Council approved. Bill A: Concerning an electronic sales and use tax simplification system, and, in connection therewith, requiring the department of revenue to conduct a sourcing method for the development of the system and establishing the implementation of the system for the acceptance of returns and processing of payments for the sales and use tax levied by the state and any local taxing jurisdictions. The bill requires the department of revenue (department), within existing resources, to conduct a sourcing method in accordance with the applicable provisions of the procurement code, and any applicable rules, for the development of an electronic sales and use tax simplification system (system). The bill also requires the department to involve stakeholders to develop the scope of work. The bill specifies that on and after the date the system is online, the department is required to accept any returns and payments processed through the system for state sales and use tax and for any sales and use taxes that are collected by the department on behalf of any local taxing jurisdiction. The bill specifies that it is the General Assembly’s intent that a certain number of local taxing jurisdictions with home rule charters voluntarily use the system when the system comes online and that all local taxing jurisdictions with home rule charters voluntarily use the system within a specified number of years. To review the bill recommended by the Sales and Use Tax Simplification Task Force, please visit the task force’s website. For questions concerning the legislation, please contact Esther van Mourik. 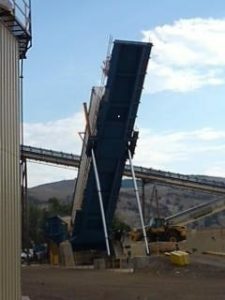 The biomass plant had an interesting way to unload trucks. Meeting with the Roaring Fork Regional Transportation Authority. The committee also met to propose and draft legislation. They ultimately recommended three bills to the Legislative Council, all of which were approved. Bill A: Concerning the exemption of the department of transportation from existing reporting and transportation commission approval requirements when it acquires land needed for specified highway-related purposes by means other than condemnation. Current law allows the department of transportation (CDOT) to acquire land in order to alter a state highway only after: (1) the chief engineer of CDOT provides a written report to the transportation commission that describes the project and all land to be acquired for the project, includes a map of the existing and future boundaries of the highway, and estimates the damages and benefits to each affected landowner; and (2) the commission determines that the project will serve public interest or convenience and adopts a resolution authorizing the chief engineer to offer affected landowners appropriate compensation. The bill authorizes CDOT, acting through the chief engineer, to acquire land in such circumstances by purchase or exchange without the chief engineer providing the report or the commission making a determination of public interest or convenience or authorizing the payment of compensation to affected landowners. If, however, CDOT needs to acquire land through condemnation, the chief engineer must provide the report and the commission must make the determination of public interest or convenience and adopt a resolution authorizing CDOT to acquire the land through the filing of a petition in condemnation. Bill B: Concerning the age requirement to drive a commercial vehicle in interstate commerce. The bill authorizes the department of revenue to adopt rules allowing a person who is at least 18 years of age but under 21 years of age to be licensed to drive a commercial vehicle in interstate commerce if operation of a commercial vehicle in interstate commerce by the person is permitted under federal law. Bill C: Concerning issuance of driving authorization documents to foster children who are under eighteen years of age. The bill exempts a foster child from being required, when being issued a driver’s license, to have his or her foster parent or other legal guardian sign an affidavit of liability if the child holds evidence of financial responsibility in his or her own name. Under current law, a county must obtain the permission of a foster parent to help a foster child obtain an instruction permit without a responsible adult signing an affidavit of liability, but the county need not obtain this permission if the foster child is at least 17 1/2 years of age. The bill lowers this requirement to age 17. To be issued a driver’s license, current law requires a minor to submit driving logs showing 50 hours of instruction. The bill broadens this to allow any person who is at least 21 years of age and who holds a driver’s license to sign a foster child’s driving logs if the person provided the instruction and the foster child has provided proof of financial responsibility. Current law, with some exceptions, requires a person who is under 16 years of age and who was issued an instruction permit to be instructed in driving by the person who signed the affidavit of liability. The bill authorizes anyone who is at least 21 years of age and who holds a driver’s license to instruct a foster child with a driving permit. The bill directs the department of personnel to create a program that pools insurance of a child who has been in a foster home for at least one year with the insurance on the state fleet to make insurance less expensive for the foster child. The department of personnel must accept and expend gifts, grants, or donations to implement this program. To review the bills recommended by the Transportation Legislation Review Committee, please visit the committee’s website. For questions concerning the legislation, please contact Jery Payne or Jason Gelender. The Early Childhood and School Readiness Legislative Commission met four times from July through October. They received an update from the Early Childhood Leadership Commission, heard reports on program implementation from several state agencies, and took testimony from several community and advocacy groups, concerning issues pertaining to child care and education for young children. The Commission requested that staff draft several bills, two of which were ultimately recommended to the Legislative Council. The Council approved one of those two bills. The bill clarifies that high school students who are interested in early childhood education may participate in the teacher cadet program. To review the bills recommended by the Early Childhood and School Readiness Legislative Commission, please visit the commission’s website. For questions concerning the legislation, please contact Brita Darling.